Latvia unveiled a controversial legislative proposal that calls for phasing out education in minority languages within a few years’ time, and it’s almost exactly what Ukraine announced that it would begin doing late last year. Both countries have a complex domestic situation owing to their legacies of Imperial and Soviet migrations that saw large numbers of Russian speakers move to their present-day territories over the centuries, essentially making them indigenous inhabitants by this point. 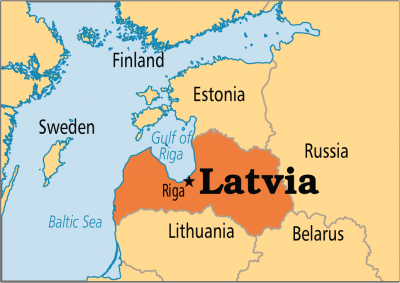 Latvia has an even larger Russian minority than Ukraine at approximately 40% of the population, though many of this demographic are regarded as “non-citizens” since they don’t fluently speak the local language and are therefore ineligible for citizenship per the country’s post-Soviet laws. Riga regards them as the descendants of “foreign occupiers”, while this community argues that they’ve legally moved to Latvia when it was part of the Russian Empire and Soviet Union, thus making their presence there as natural as if an American moved from Illinois to California, for example. The Latvian government doesn’t see the situation that way and is accused of violating the human rights of this minority because of its strict citizenship requirements, though the EU – which is known for being overly sensitive to these sorts of things – ignores the Russians’ plight for political reasons. Latvia’s strategic geography is much more important to the West than its abidance of humanitarian norms, hence why Brussels turns a blind eye to its “hyper-nationalism” which at times crosses the line of fascist-era glorification, even overtly for example whenever celebrations are held for actual Nazi veterans in its capital. The EU and Latvia share an ungrounded paranoid fed by the Mainstream Media-manipulated narratives about Crimea and Donbas that ethnic Russians and Russian speakers outside of the Russian Federation are apparently “fifth columnists”. This in turn is why they’re so obsessed with forcibly “assimilating” them into society, whether in Ukraine or Latvia, despite this group having already integrated into the host societies that they’ve been a part of for centuries, or in Ukraine’s case, before the state was even put into being by the German invaders during World War I and afterwards by Lenin himself. The narrow-minded legislation unfortunately ignores these historical complexities, violates human rights, and amounts to a campaign of state intimidation. When taken together, Latvia and Ukraine’s policies suggest a coordinated effort to suppress the Russian minority in the so-called “borderlands” to the point that they “voluntarily” “cleanse themselves” from this region, with this entire effort representing an actual Hybrid War that’s ironically marketed as a “counter-Hybrid War” measure against Moscow.